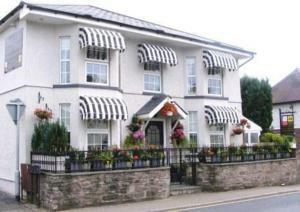 Choose from 5 hotels and guest houses in Monmouthshire. Shown below a just a selection of the hotels available. To search within an area please use the menu on the right. Black Lion Guest House - The Black Lion Guest House is family-run business that offers a warm and friendly welcome to all, including cyclists and walkers. The guest house is situated in the heart of the historical thriving market town of Abergavenny, a location used by many tourists over the years as the 'Gateway to Wales'. Portland House - Ideally situated in the beautiful Wye Valley, Grade II Listed Portland House has AA 4-star status, with some charming Georgian period features. The River Wye is a 5-minute walk away. All rooms are individually decorated and beautifully furnished, with comfortable beds. Some of the rooms have a luxurious four-poster bed, a TV and DVD player or stunning countryside views. 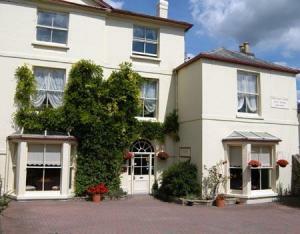 Guests may relax in the comfortable, spacious lounge, with log fire and satellite TV. There is also a picturesque award-winning garden. An excellent breakfast is provided, made with local produce. An inclusive full English breakfast is available to guests, served in the elegant dining room . Free parking and free Wi-Fi internet access are available to guests. Lamb and Flag Inn - The Lamb & Flag is at the foot of the mighty Sugar Loaf Mountain near the bustling town of Abergavenny, at the gateway to the beautiful Brecon Beacons National Park. The family-friendly restaurant serves traditional pub favourites, including a popular Sunday lunch. Each comfortable bedroom comes with free Wi-Fi access and an LCD TV. The Lamb & Flag has always been a popular resting place for tired travellers en route to the Welsh Valleys and the coastline of Camarthenshire. Also nearby is the World Heritage Site at Blaenavon. Plasderwen - We pride ourselves on offering fantastic quality, from the standard of our food and our contemporary boutique bedrooms, to the atmosphere and seclusion of our wonderful gardens. Situated on the foothills of the Brecon Beacons National Park, we are ideally located for you to take advantage of all the area has to offer. 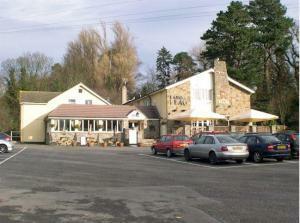 Plas Derwen is a totally non-smoking inn with designated smoking areas, and the restaurant serves food all day. As well as being an excellent food destination, we are a great place to come for a drink. By combining modern design with traditional charm, we offer you a place that is welcoming throughout the year. Brynhonddu Country House BandB - This friendly, family-run bed and breakfast - voted the best in Wales by overseas visitors (2003) - offers picturesque views over the Black Mountains, within the Brecon Beacons National Park. An historic country house setting, surrounded by some of the best walking areas in the country, the estate boasts extensive and varied flora and fauna, with 51 types of tree and 47 different bird species within the grounds. Accredited with Welcome Host Gold Level standing and Level 2 Green Dragon Environmental Tourism status.